In Central America, smallholder farmers are at the heart of the agricultural sector, and many of them depend directly on natural ecosystems for the provision of water, soil conservation, pest control and other services. Climate models indicate that Central America will likely experience warmer and drier seasons and increases in the frequency of extreme weather events as a result of climate change. Smallholder farmers are likely to be particularly vulnerable to these expected changes due to their high dependence on agriculture for their livelihoods and their limited resources and capacity to cope with shocks. There is therefore an urgent need to identify strategies that help smallholder farmers adapt to climate change. Improving the productivity and resiliency of smallholder farming systems is also critical for alleviating poverty and achieving food security. Conservation International (CI) and the Tropical Agricultural Research and Higher Education Center (CATIE) are working together to identify and test Ecosystem-based Adaptation (EbA) strategies that can help smallholder farming communities adapt to these climate changes. 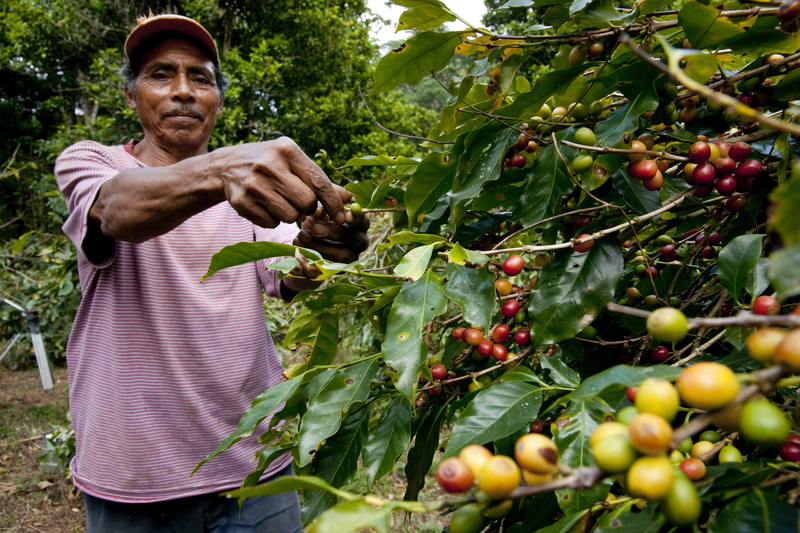 The joint research project, CASCADE (Central American Subsistence and Coffee farmer ADaptation based on Ecosystems), aims to build local capacity to support the implementation of EbA strategies in three countries: Costa Rica, Honduras and Guatemala. The project will directly benefit smallholder coffee and subsistence farmers across Central America by providing them with EbA options that can reduce their vulnerability to climate change. The project will also provide valuable support and information to agricultural organizations, coffee institutes, NGOs and other groups working with smallholder farmers on climate change adaptation and food security. Other beneficiaries include policy makers, government institutions, civil society groups, and the donor community working to promote adaptation among smallholder farmers who will have access to detailed information on farmer adaptation needs and appropriate adaptation options. CASCADE is generously funded by the German Federal Ministry of the Environment, Nature Conservation and Nuclear Safety (BMU) under the framework of the International Climate Initiative (ICI) and will run until 2017. In addition to CI and CATIE, another key partner in the project is CIRAD. Workpackage 1: Research on climate change impacts: Goal: to understand the vulnerability of Central American ecosystems and smallholder farmers (both subsistence and coffee) to climate change. Workpackage 2: Vulnerability assessment: Goal: to identify which smallholder (both subsistence and coffee) farming communities, ecosystems and ecosystem services in the target countries are most vulnerable to climate change. Workpackage 3: Ecosystem-based adaptation identification: Goal: to document household livelihood strategies used to cope with past climatic variability and local knowledge about expected impacts of climate change across a range of different smallholder communities. Workpackage 4: Ecosystem based adaptation evaluation: Goal: to test the effectiveness of existing on-farm activities that are relevant for EbA in a subset of communities by collecting detailed information on the characteristics, management, and implementation of those activities, and their performance in the face of climate change. Workpackage 5: Institutional Analysis: Goal: to identify the local and national institutions (both formal and informal) that could promote EbA approaches among vulnerable smallholder farming communities and define strategies for strengthening their role in promoting EbA and smallholder resilience to climate change. Workpackage 6: Capacity Building for Ecosystem based adaptation extension: Goal: to strengthen capacity of key organizations and institutions to support implementation of EbA approaches with smallholder farming communities by developing and delivering targeted training courses and extension materials. Workpackage 7: Multiplication and amplification: Goal: to promote the incorporation of EbA approaches in national and regional adaptation strategies and other relevant policies through dissemination of project results to a wide set of stakeholders and decision-makers at national, regional and international levels. The side event "Ecosystem-based adaptation for smallholder farmers: opportunities and constraints" took place on June 7th 2014 and had presenters from UNEP, Conservation International, CARE, World Vision and the International Climate Initiative of the German government. At the beginning of the event, Celia Harvey gave an introductory presentation on what EbA means for smallholder farmers. Camila Donatti gave the talk entitled "Ecosystem-based adaptation options for smallholder coffee farmers in Central America and pastoralists in South Africa" presenting some of results of the CASCADE project on the EbA practices used by smallholder farmers in Central America. The talk, entitled "Ecosystem-based adaptation options for smallholder farmers in Central America: an approach from expert’s interviews" was presented by Ruth Martinez in the Adaptation Futures conference in Fortaleza, Brazil on May 13th 2014. The talk entitled "Agriculture and Ecosystem based adaptation" was presented by Celia Harvey in the workshop "Agriculture and Ecosystem based adaptation" that was organized by IICA and took place in San Jose, Costa Rica, on February 26th 2014. The talk "Ecosystem-based adaptation for smallholder farmers in Central America" was presented by Milagro Saborío in the workshop "Agriculture and Ecosystem based adaptation" that was organized by IICA and took place in San Jose, Costa Rica, on February 26th 2014. Pablo Imbach featured in El Financeiro's "The Forty Under Forty"
Pablo Imbach was featured in El Financiero's prestigious "Los 40 menores de 40" (The Forty Under Forty) on November 23rd 2013. In his interview, Dr. Imbach talked about his field of study and the CASCADE project. Pablo Imback talked about the data that he and his team are analyzing for the CASCADE project on temperature and preciitation projections, as well as future trends for Central America. The Wallace conference was held at CATIE, in Turrialba, Costa Rica, from September 30th to October 4th 2013. Several colleagues involved in the CASCADE project attend and presented their work in this event. Celia Harvey gave a talk entitled "Ecosystem-based adaptation for smallholder subsistence and coffee farming communities in Central America (CASCADE)". In her presentation, Celia gave an introduction to the CASCADE project, presented some initial findings, the work that has been conducted, and the relevance of this project for Climate-smart landscapes. This poster, presented at the 2013 Wallace Conference by Pável Bautista-Solis, is based on a literature review that is addressing the types of adaptation strategies being employed by smallholder farmers (coffee and basic grains) to reduce their vulnerability to extreme events, identifying those which are EbA options. Camila Donatti presented a poster entitled "CASCADE project: EbA for smallholder farming communities in Central America" at CI's Institutional Learning Week, an event opened for CI's staff from our headquarters office in Crystal City and from CI offices around the world. Milagro Saborío gave a talk entitled "Economía de adaptación de la agricultura al cambio climático", summarizing different research approaches dealing with the economy of adaptation. The seminar took place in Santiago, Chile, November 13-14, 2013. A poster entitled "Can Ecosystem-based adaptation help reduce the vulnerability of smallholder farmers to climate change in Central America?" was presented by Mario Chacón at the Global Science Conference on Climate Smart Agriculture in UC Davis on March 21st, 2013. This project is part of the International Climate Initiative (ICI). 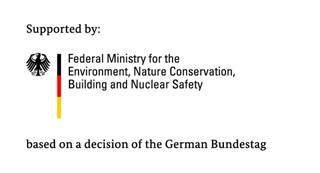 German Federal Ministry for the Environment, Nature Conservation, Building and Nuclear Safety (BMUB) supports this initiative on the basis of a decision adopted by the German Bundestag. The Mitigation of Climate Change in Agriculture (MICCA) programme. Adaptive restoration of former saltworks can help wetlands recover their functionality and resilience to adapt to sea-level rise, while improving the biodiversity habitat. This work summarizes 700 articles, papers, books and reports on topics ranging from general ecosystem theory, implementation and its application from 2015 to 2018.